Royalty-free stock illustration of a male geography teacher standing near a desk on top of which there is a globe. He is pointing to it with a ruler. Royalty-free stock illustration of a male teacher reading from a book while pointing with a ruler. 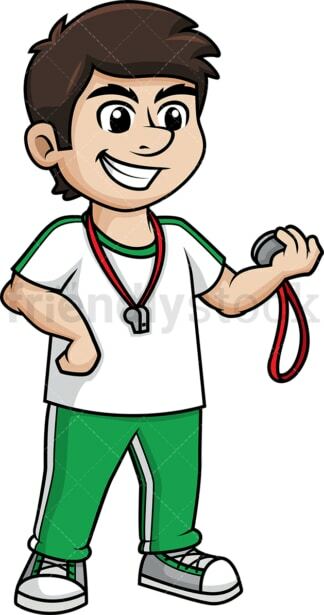 Royalty-free stock illustration of a male gym teacher in sport attire with a whistle around his neck, looking at a chronometer while timing his students. 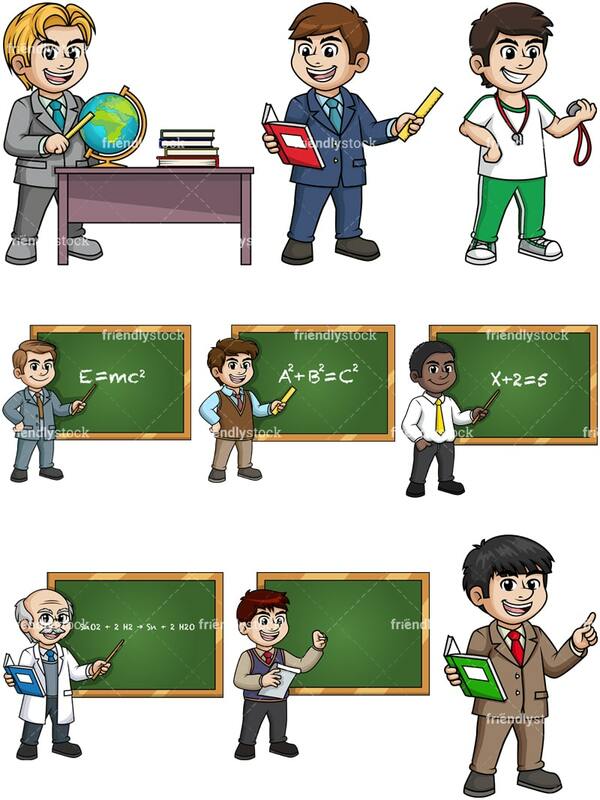 Royalty-free stock illustration of a male science teacher in white coat, explaining a complex math equation he has written on a green board while holding a book. Royalty-free stock illustration of a male writing teacher holding an essay. Royalty-free stock illustration of a black male mathematics teacher pointing to a green board where he has written a simple first degree equation. 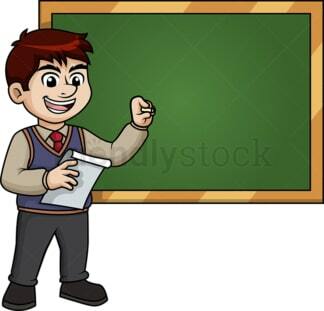 Royalty-free stock illustration of a male physics teacher pointing to a green board where he has written the mass energy equivalence, explaining it to his students. Royalty-free stock illustration of a male geometry teacher pointing with a ruler to a green board where he has written the Pythagorean theorem. 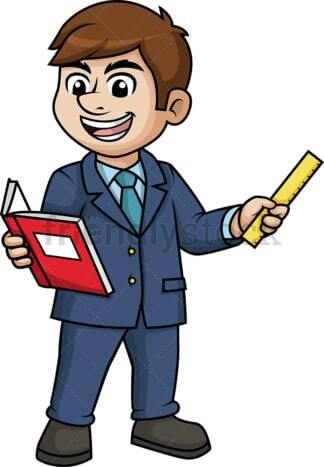 Royalty-free stock illustration of an Asian teacher making a point while holding a book with his other hand.